Get the latest in technology and a solid piece of machinery that can stand up to rugged working conditions, at a fair price. We have a wide availability of products and stand behind them with a strong parts and service commitment. M.G. Bryan has new equipment in production now and available for pre-order! If you are looking to purchase a new fleet or add/expand an existing one, M.G. 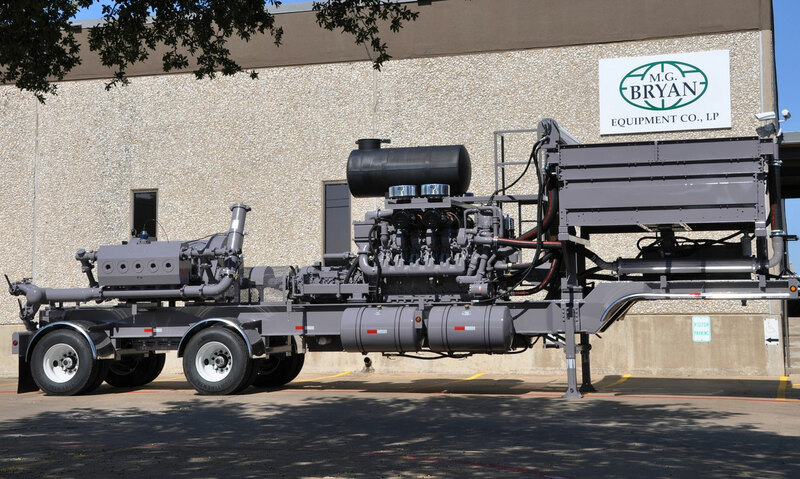 Bryan is your source for new frac pumps! M.G. Bryan utilizes EKU Power Drives in order to enhance your Frac Economics. 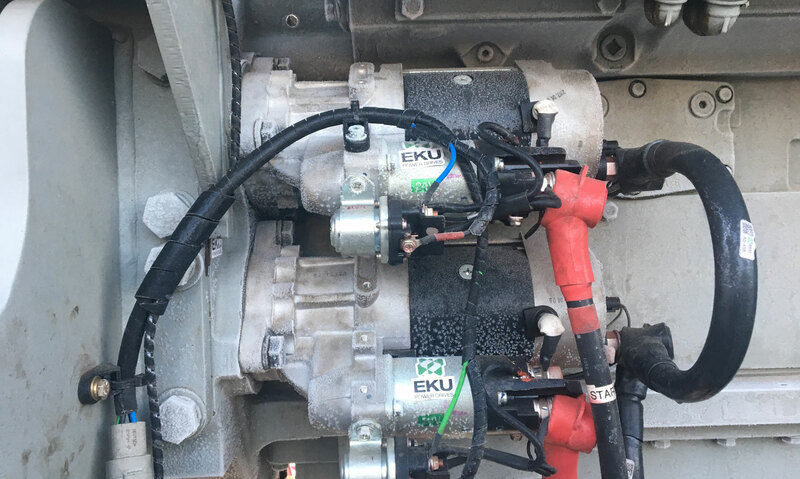 With lower fuel consumption, reduced maintenance downtime, and longer lifespan of your equipment EKU Power Drives are a vital component in quality M.G. Bryan equipment. M.G. Bryan has decades of engine and manufacturing experience coupled with top Tier 4 knowledge. When it comes to understanding cost of ownership, maintenance requirements, and helping your fleet last longer, no one competes with the sales and support teams of M.G. Bryan. Get the latest in technology that can stand up to rugged working conditions. We have a wide availability of products and stand behind them with a strong parts and service commitment. M.G. 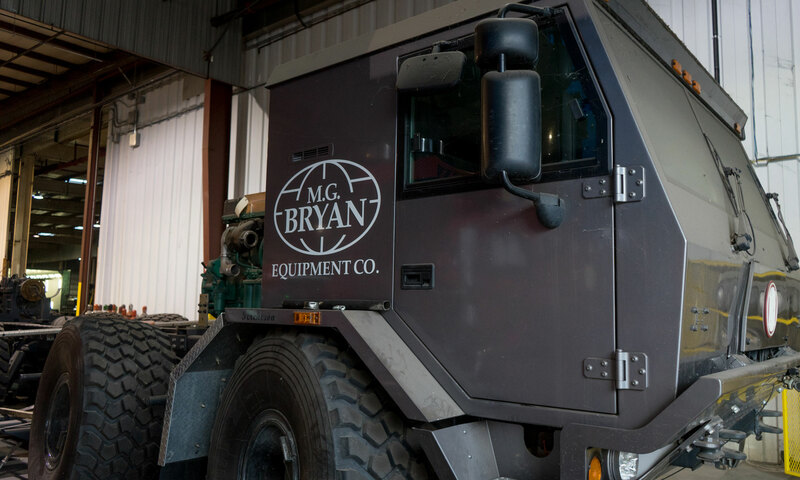 Bryan is more than just a distributor of oilfield service equipment. We make sure you get the right equipment that suits your specific job, terrain, and production requirements. We’ve already worked with engine manufacturers to get ahead of the learning curve on Tier 4 requirements, and we have in-depth knowledge on EKU power drives to keep equipment running at optimal load capacity. We calculate the total cost of ownership (TCO) for new equipment, and can help decide whether it’s best to replace or refurb existing equipment. Radiators: Global Heat Transfer (GHT) Jumbotron high-performance cube radiators specifically engineered to meet the rigorous demands of today’s pressure pumping equipment. Engines: Tier 4-compliant MTU SV4000 engine and reliable high-performance Cummins QSK50 engine with high power output and excellent fuel efficiency. Transmissions: M.G. Bryan is a distributor for Twin Disc – a leader in power shift transmissions, and can incorporate oil and gas field-proven Allison or Caterpillar TH55-E70/TH48-E80 oilfield transmissions to create your power solution. Pumps: We feature Gardner Denver fracking pump technology and the Weir line of SPM pressure pumping equipment. Power Drives: Our extensive EKU knowledge helps manage your engine loads in the most efficient manner possible. Fracking Support: All the heavy-duty equipment and trailers you need to keep your fracking operation running. The best component in our value proposition is the M.G. Bryan commitment to service and product support after any new equipment sale is complete. 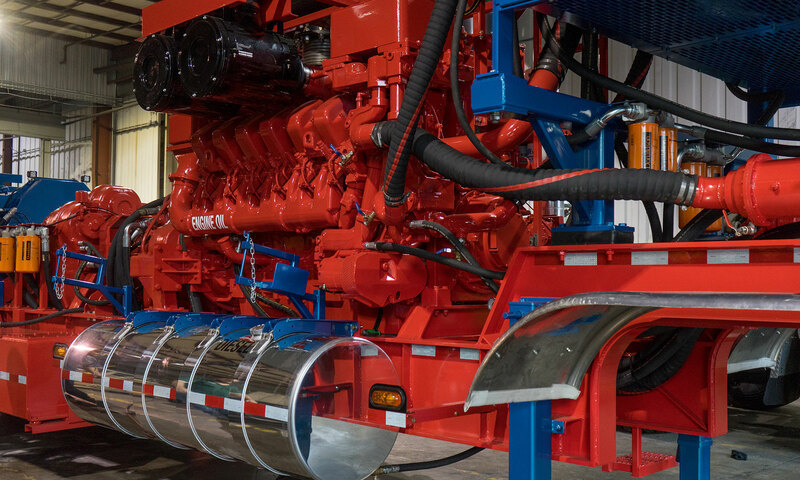 Whether your company needs engines, generators, fracking equipment, or oil field equipment, M.G. Bryan Equipment Company is committed to providing new equipment to perform the job and keep your business running. Variety of generators, radiators, engines, transmissions, and pumps to meet your exacting job specifications. We are there every step of the way, helping start-ups to large companies fill new equipment needs. We work to get you the equipment you need, when you need it, at a fair price. Calculate the total cost of ownership so you can plan your cash flow requirements. One of our best new equipment components is our commitment to service and product availability. Convenient West Texas service location so our trained techs can quickly respond to parts and service needs. Contact M.G. Bryan today at (972) 623-4300 or sales@mgbryan.com for more information on meeting your oilfield service equipment needs.